A new Alice on Wednesday pop-up shop is set to open at LOFT in Kobe on November 20. 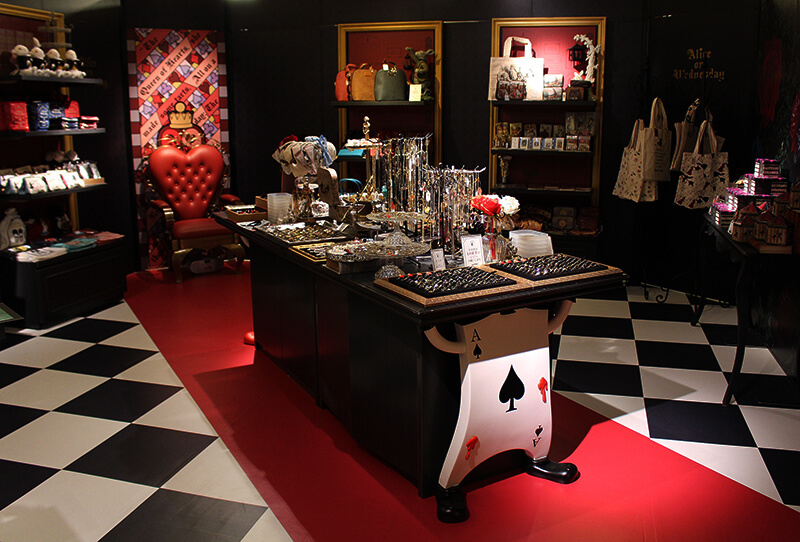 Alice on Wednesday is a concept shop that recreates the world of Alice in Wonderland. 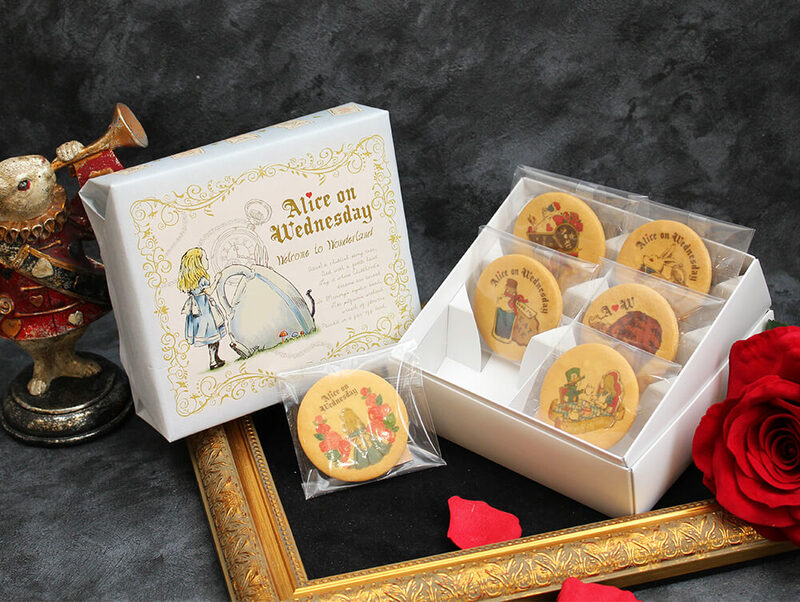 There are branches in Tokyo (Harajuku), Osaka (Shinsaibashi), Nagoya (Osu) and Fukuoka (Daimyo) where they sell Alice themed sweets, accessories and miscellaneous fashion items. 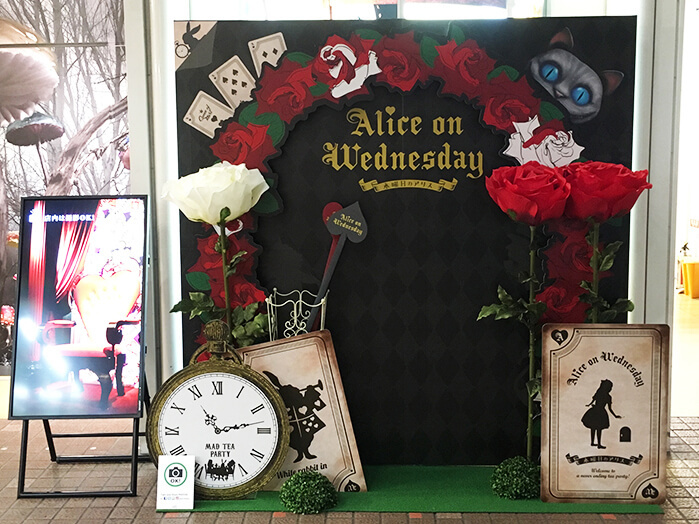 Although the pop-up shop will be situated in a limited space, that isn’t stopping Alice on Wednesday from bringing the world of Wonderland to life. Tables will be propped up by the Playing Cards where you’ll get to sit on the queen’s chair to feel like the Queen of Hearts, there will be a photo opp area, and much more. Cameras are also allowed meaning you can snap as many pictures as you need to. Not only will you be shopping but you’ll feel like Alice too. The pop-up shop is an upgrade from last year’s and will make use of all the possible space. Dive into Wonderland with Christmas-y desserts as well as a whole range of accessories and brand new items. 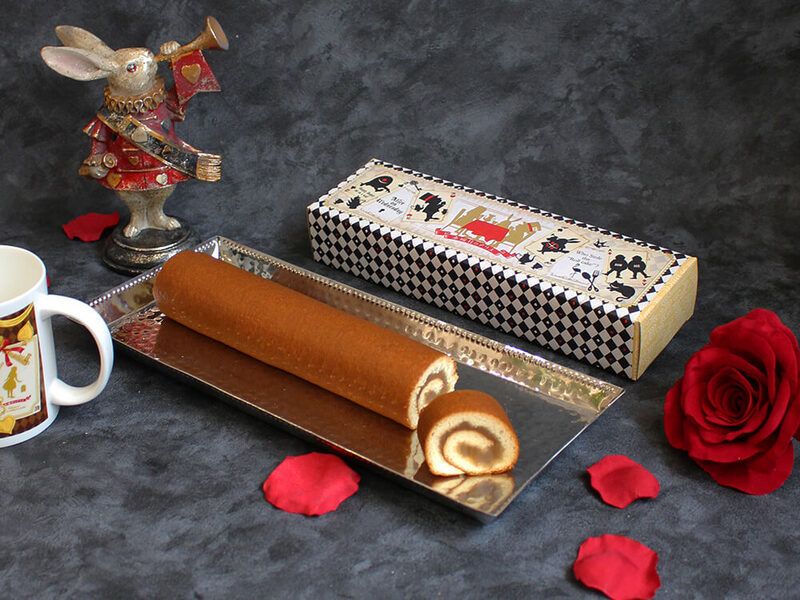 Tuck into a long and fluffy roll cake filled with sweet caramel flavoured Japanese bean paste. The package design is available at this pop-up shop only. This box of cookies makes for a great gift. 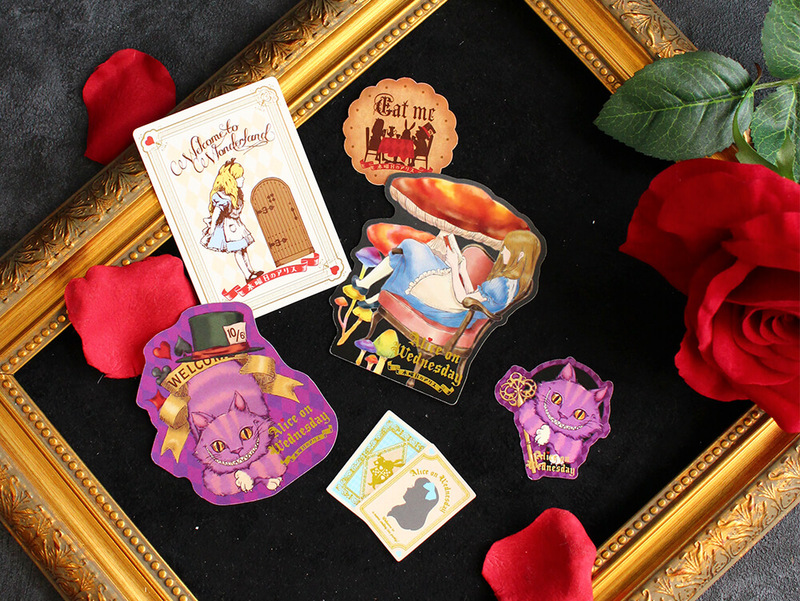 Hand them out one by one for people to enjoy the illustrations which feature classic designs from Wonderland. Both the cookies and packaging are available at this pop-up shop only. These stickers feature original designs. Available at this pop-up shop only, you’ll want to collect all of the stickers in this line-up. Enter the cute and curious world of Wonderland in Kobe. 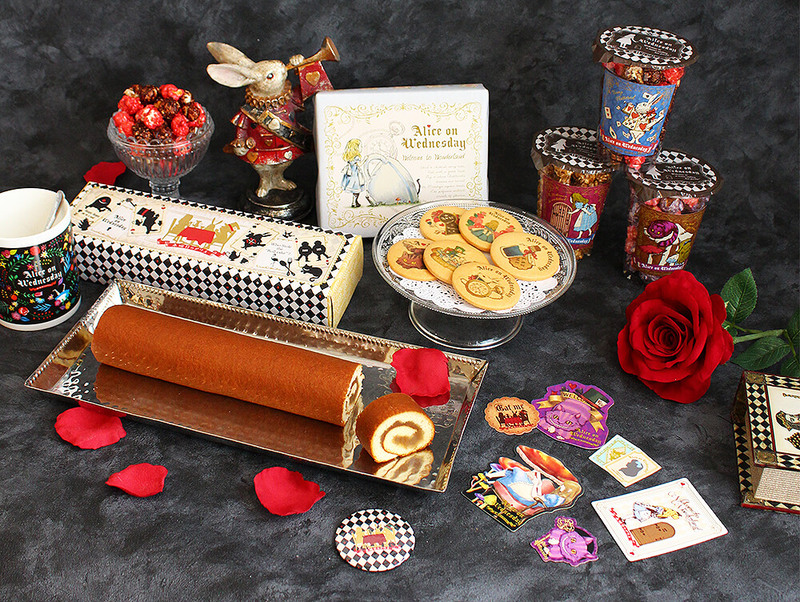 Spring-limited “Alice’s Spring Fairs” will start in Osaka and Nagoya!